Running, orienteering and other stuff.. Thinking about the race I did last Saturday I don't think that I could have asked more. Well, I could have, but only if I were a dreamer which is not actually a thing that ties into long distance races very well. And I finally got it, My goal was to run around 1h45m. I tried for two years to achieve it but I wasn't probably ready for it. This year, after four weeks where I was able to focus on training well, I finally hit the target. I must confess that on Friday right after a jogging I felt really tired and I was quite scared to have the same feelings of last year when I was never really able to push hard as I wanted in the hills from the very beginning of the race. Maybe I wish yesterday I were running a marathon instead, because I don't know if I'll be able to keep this shape for four more weeks; Winter is coming here! So, that is my challenge now and I honestly wouldn't trade what I did this year in Lidingöloppet with another race. The week after I ran Marcialonga Running, a competition following the track of the cross-country skiing competition held in Cavalese in the end of January. Again, I ran even slower than the last year, especially on the last hill, where I couldn't push harder that 4.30/km. Slow, too slow for racing. My legs just couldn't do any better! Those two races reminded me the normal feeling of the marathon runner. They brought me back in the days, while I was training for other marathons and I couldn't constantly perform the way I wanted. Of course, at that time I was fresher, younger and more trained, but I feel that it is just normal. The best thing to do is probably to take only the positive inputs (if any!) and keep training for Venice Marathon. So, yes, I'm definitely too slow for racing. Now. But I need to race in order to train. Thus... Never mind, I will not cry for my bad performances and still feel positive on the long term goal, and if I'm going to be too slow for racing in one month as well, never mind, at least I'll find myself conscious of the fact that I tried to do my best. Personally, I guess that if you would like to know a nice way to waste your summer holiday, then you should probably ask to any runner preparing a marathon in the Autumn. I wouldn't want to send the message that training is bad (well, sometimes it is), but I think that deciding to spend the whole summer by conditioning your choices with the fact that you are going to run a long competition in September/October can be sometimes frustrating, especially when you look outside the window and you see empty streets (everyone is of course on holiday!) and the sun is shining, whispering you: "seize the day". This is the second year in a row that I decided to spend the whole summer working in Stockholm. I did that on purpose. I want to try to give a last shot for preparing a marathon. Time as passed since I was able to train more than once a day, but I still feel that I can at least try to be in a decent shape for that. Last year I tried to prepare Lidingöloppet, but I didn't fully succeed. I was in quite a good shape before leaving for Italy, in the beginning of August, but then something changed, so I ran the course way slower than my initial target, which was 1h45m (I ran 1.47m). Of course, this year I will try to not do the same planning mistake. Back in June I called my trainer Johnny Schievenin and asked him a program for targeting Venice Marathon (end of October), starting from July. He looked pretty happy about that and enthusiastic to face this new challenge. In the beginning of July I started following that program. Kind of tough, I would say, but it is exactly what I needed. It includes one session per day, 15-20km average and, compared with the programs I was used to follow while I was a student, it is trying to squeeze everything so that in 8-9h per week I can get enough quality on the sessions. Translated: lot of workouts. My plan now is to try to follow as much as I can that program (I would say that completing 80-90% of it would be already awesome), for then going home to Italy to spend one month of vacation and basically train hard. And that is the reason why I started writing this post that way. For now I feel quite confident. I wouldn't still target a time for Venice Marathon, but I do not want to "run it for participating". The first three weeks have been completed (9h - 130km, 9h - 130km, 8h - 120km), but there is still a long way to go. I'm looking forward with a lot of curiosity to the upcoming months, knowing that I have some actual limits, but I am rather happy to face this challenge. In the beginning of June, in 2014, I was cheering for my friends Daniele, Manuel and Tito while they were running Stockholm Marathon. Frankly speaking, that was one of those days when you wonder "why are they doing this?". 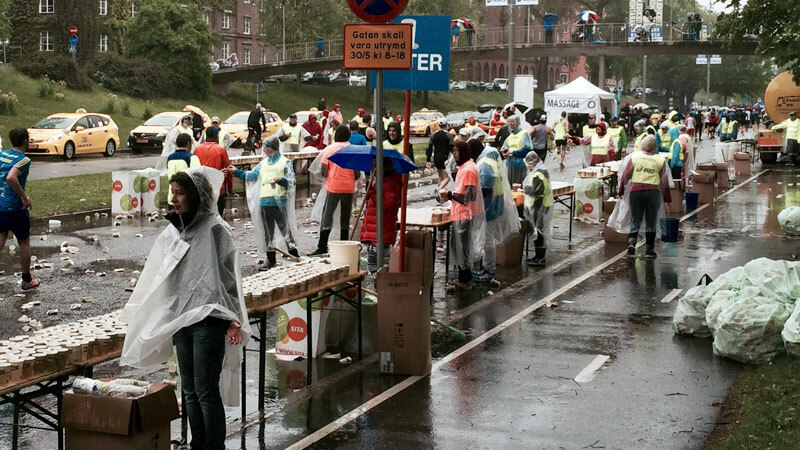 At the start of the race, it was raining and the temperature was really cold. Then, after just one hour, the sun started burning the asphalt and the experience was more similar to a mid-may jog in Dubai than a Swedish June running race. 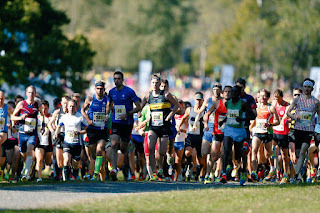 I thought that the course was pretty nice, well tracked, even if I do not believe that it is designed for breaking any record, since there are more than 400m to climb during the race. 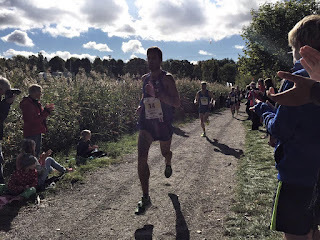 After running Lidingolöppet (September 2014), I lost my motivation in training and I didn't run that much (around 70-90km with one-two interval session(s) per week), but I would have like to run Stockholm Marathon this year, maybe just to prove myself that I could still run 42km in a row (it's not that easy, uh!?). I tried to contact Stockholm Marathon organization several times (I was expecting to run right below 2h30m), asking for an elite group bib. Unfortunately, I've never gotten any answer. Actually, I was pretty disappointed. I know that with 2h30m you can basically enter for free in almost every marathon in Europe. Still, I know that the majority of the runners are paying a lot for entering those races, so sometimes I feel a little bit ashamed for pretending to have a bib for free. In the end, I stopped thinking about preparing the marathon and I just enjoyed my daily training. Suddenly, last Thursday my colleague Fraser told me that he was not able to run Stockholm Marathon anymore and that he could have given me his bib if I wanted that. I thought it could have been a good tempo training, maybe just for 30km. So I got his bib. Unfortunately, his starting group was the very last one (no. 23000+, more or less after 15m from the first start), so I already knew that I would have to overtake quite few runners in front of me. "Never mind, it's just a training, let's do it". I would have been really happy to run around 3m40s/km for 25-30km. It would have been a really good session. So I went to the start biking from home right 10 mins before and I started. I felt pretty good in the beginning, but frustrated by having so many people in front of me. I was forced to run a fartlek for more than 20km before my pace could become stable. The hardest part was to overtake the pacemakers, since runners were forming a cluster around them and it was impossible to find a way through. Surprisingly, after the first 20km I was still feeling all right. The weather was just bad (strong wind, rain and cold) but I crossed the 30th km without thinking about that too much. It took to me a while to decide whether to continue or drop the race at that time, and when I got the conclusion, it was already the 35th km. The conclusion was exactly the answer I would have gotten from my friends running the race the year before to the silly question "why are you doing this? ": simply because, in a runner mind, that is not even a question! 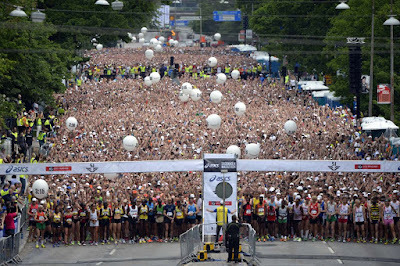 I finished the race, keeping an average pace of 3m37s/km and passing more than 20000 people. I'm very happy for that. This year I decided to take my summer holidays in September. Apparently, it was a good choice. 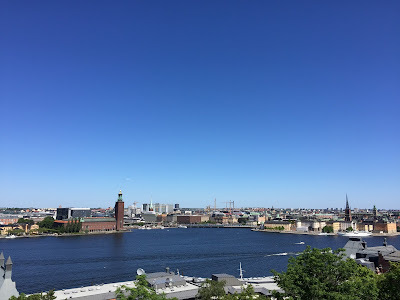 In Stockholm this Summer has been anything but amazing and the weather was exceeding all expectations, with the temperature fluctuating between 20 and 30 degrees from late June to late August. In Northern Italy, on the other hand, the summer has been rather unusual; I could easily say one of the wettest and worse ever recorded since few decades ago. On September 4th, I flew to Italy. 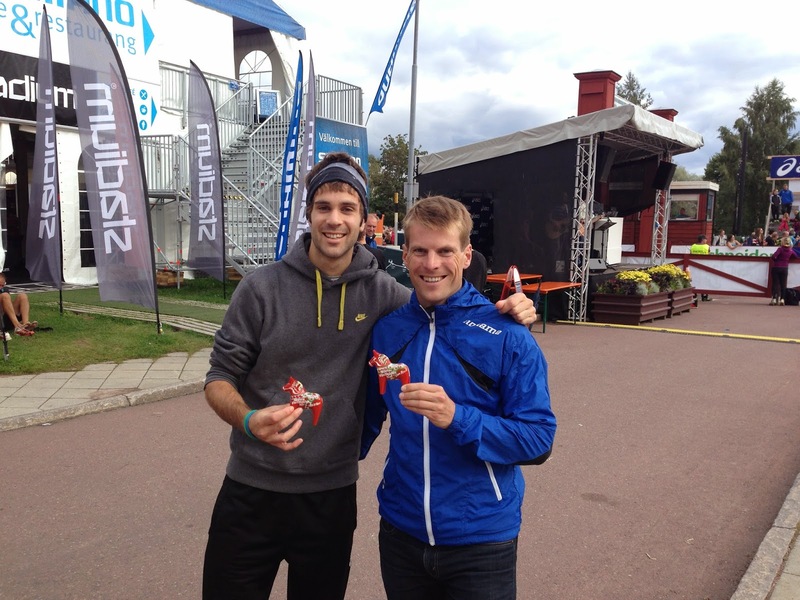 From the physical point of view I was still blaming the race I ran the weekend before (Fjällmaraton Sälen). Despite, as I said, from muscular viewpoint trail running is less traumatic than road running, I was still feeling the long effort. In my life I haven't had any three hours race/training. Nevertheless, I planned to run a race before spending few days in Croatia. Unfortunately I could not run Primiero Ex3me relay because the cyclist who had to make the first leg got injured just few days before the race. So on Saturday 6th I got the entry for Marcialonga Running (just to stay on topic, after I ran Vasastaffetten through Vasaloppet track...). I had run Marcialonga Running two years ago, when I had just started the preparation for Reggio Emilia Marathon. Marcialonga Running is a 26.5 km road running race that follows part of the well known ski race track. Its peculiarity is that the first 22 kilometers are slightly downhill, while it ends with a climb that should reflect "La Cascata" (i.e. the last and feared climb of Marcialonga), before arriving in Cavalese. I ran together with my friend Massimo Leonardi (quite good marathon runner, also member of Saucony team) and the young Nekagenet Crippa. I managed to stay with them for more or less 10km. I wasn't feeling that strong, both because the pace was too high for my standards (31' on the first 10km) and because my legs were not that responsive when the road turned into short uphills. Therefore in the second I slowed down until the beginning of the last climb, where I tried to run relaxed and keep the pace as high as I could. I ended up in 9th position, running the same time as two years ago (when I arrived 5th). I'm happy of my performance; I couldn't pretend to run faster and the level of competitors was particularly high compared to the past editions. The race was won by the strong 61' half marathon Kenyan runner Limo Kiprop, with the course record (full results here). Right after the competition, I left for Croatia. I needed a few days relaxing at the beach with friends, without thinking about work and training, and I can say that holidays in Croatia have been a wonderful. Next Monday I'll fly back to Stockholm after spending these two and a half weeks of Summer vacations. I originally wanted to train well after being in Croatia, but I wasn't able to optimize my trainings, due to few days of sickness. However, I am relatively satisfied and I think that my shape is still quite good. In the last few days I have made ​​a couple of workouts on the track and one orienteering training, in order to try to remember how do you find controls since tomorrow I'll run for fun the long distance Italian Championships. 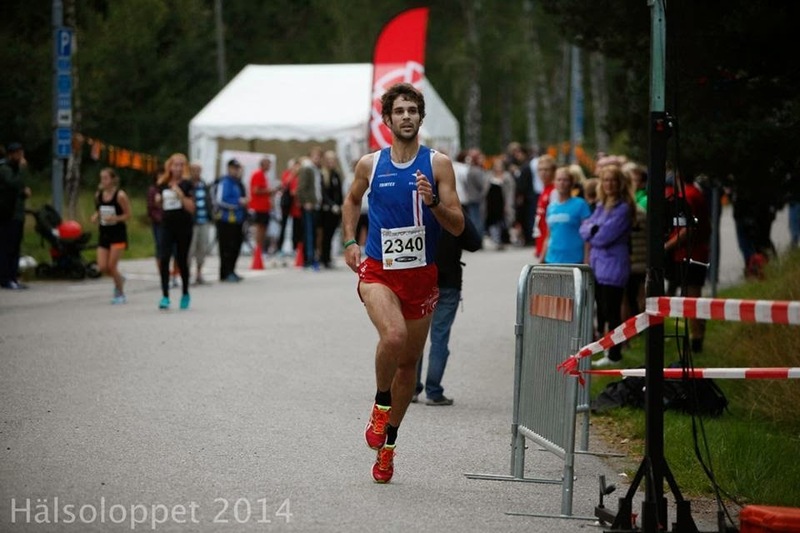 Just one week is left before Lidingöloppet, and I hope to find good sensations next week to get ready to enjoy it. The good news of the last week is that I finished my first trail running marathon. I must admit that it has been really tough, probably more than I expected, but I enjoyed a lot such an extraordinary experience. I think that jumping from road running to track running, trail running or orienteering, depending on my mood, is a really nice thing. Personally, I really like that, even if I cannot be strong in any of them. It makes me feel free to prepare whatever competition I feel like to prepare (whenever I want to train), without any kind of stress. 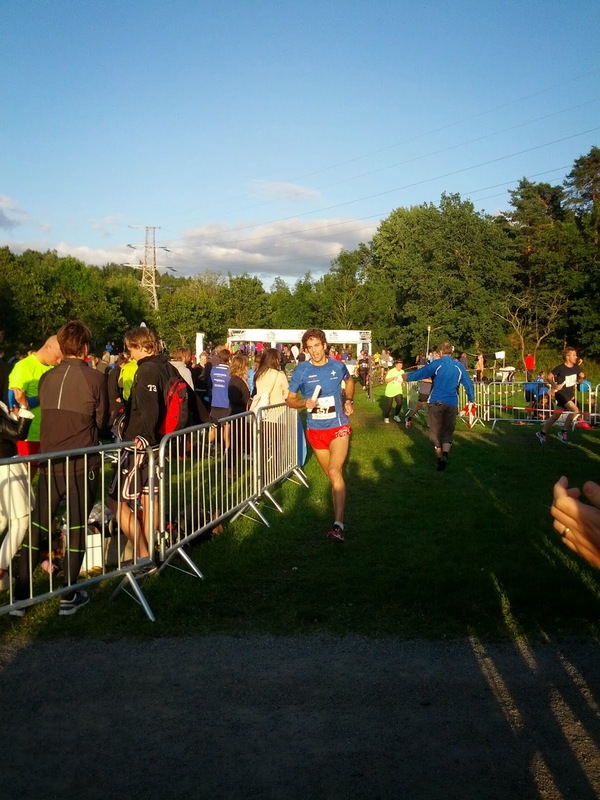 Before running the Fjäll Marathon in Sälen, on Wednesday I entered for a 10km road running competition (Hälsoloppet). I thought that it could have been a good training, since the race was pretty closed to my office in Södermalm. My plan was to run that around 32 minutes. Unfortunately, as it often happens, I started too fast and I crossed the first 5km in 15.25, which was good, but definitely too fast for my actual shape. Thus, I had to slow down in the second half (as it happened in Midnattsloppet two weeks ago). I crossed the finish line in 31.49, in 2nd place (full results here), and thanks to my smart choice to start rather quickly, for the next couple of days I've had a weird feeling of soreness in my legs, which is not really the best sign before approaching a long race. I suffered a lot on the last uphill, from the 29th km up to the 37th, but I am very happy to have finished that in a decent time (2h55'). Second place, once again (full results here). Of course, it would be better to win sometimes, but the guy who won was stronger than me in running on the technical parts, so I didn't really have any chance to beat him. At the end I was 3 minutes behind him, which was OK.
Me, Øystein and Nick after the race in Lindvallen. My house mates Øystein and Nick ran the half marathon and I'm sure they had some fun (they are orienteers and definitely more trained for running in technical terrain than me). They fought against each other until the last meter. At the end, Øystein won and Nick was second, just few seconds behind. After having tried a trail running marathon, I can say that trail running long races are a totally different sport than marathons. I remember that when I was running normal marathons, way better trained than I am now, I wasn't really able to train for couple of days after. Instead, the feeling I got the morning after Fjäll Marathon was that I just had a long run the day before, nothing more. My legs were still feeling kind of good and I went with my house mates for a 2h jogging in the unique landscape that Swedish Fjäll can offer. Frankly talking, this week has been fun. I slowed down with trainings, since I started competing after I spent two months in training. 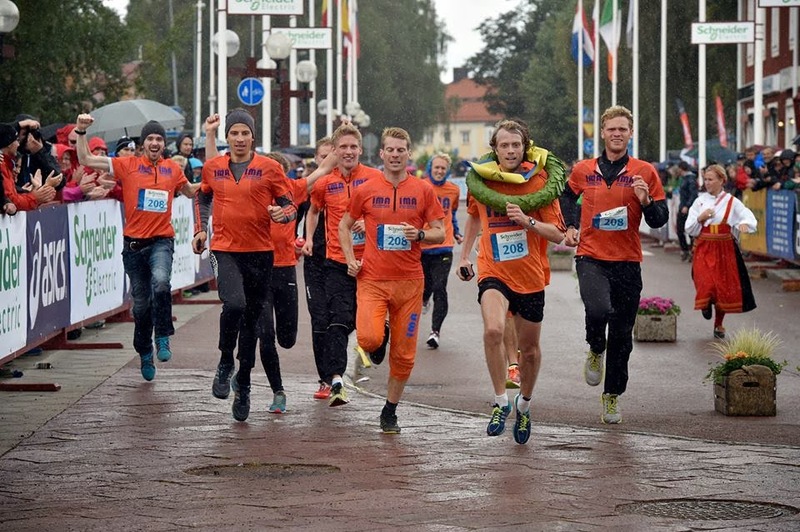 On Thursday I was running Bellmanstaffetten, a pretty cool business relay (5 x 5km). Last year my Company was able to arrange two teams, but this year some of the last year' runners have left and others were on vacation (the famous Swedish ultra-long vacations...). Thus, we were able to arrange (almost) one team, entered in the men's class. The original plan was to run as R&D office. However, since we were so few (just three of us entered the race), we decided to open the team to other offices as well. At the end we were happy to included in our relay team my Latvian team-mate Akvile (quite good orienteer running for IFK Lidingo and working for the same Company of mine). Four out of five then, and I was kindly asked then to run twice... I ran the first and the last legs. I wanted to try to push as hard as I could on the first one and take it easy on the last. Unfortunately, there wasn't any good runner on the first leg, so I was running alone from the start. I finished my leg in 15'20'' (45 seconds faster than the last year). I was not really running as I should have; I started too fast, with a crazy first km in 2'45'', which is clearly too quick for me right now. Considering that the course is gently hilly and in mixed terrain, I'm happy anyway. One hour after that I ran the last leg trying not to push but to relax. I was pretty impressed by my run, since I cross the finish in 15'50''. We ended up at 9th place in men's class (full results here). It is the best result of my Company so far, with an average speed higher than 15 km/h. On Friday evening I was driving to Sälen with my roommate Øystein to run Vasastaffetten (10 men relay on the full Vasaloppet track - 90km) for Mats Andreason's team. Here in Sweden everybody is looking at me like I'm crazy if I say that Sälen is already in the edge of the World, but you can trust me, it is. 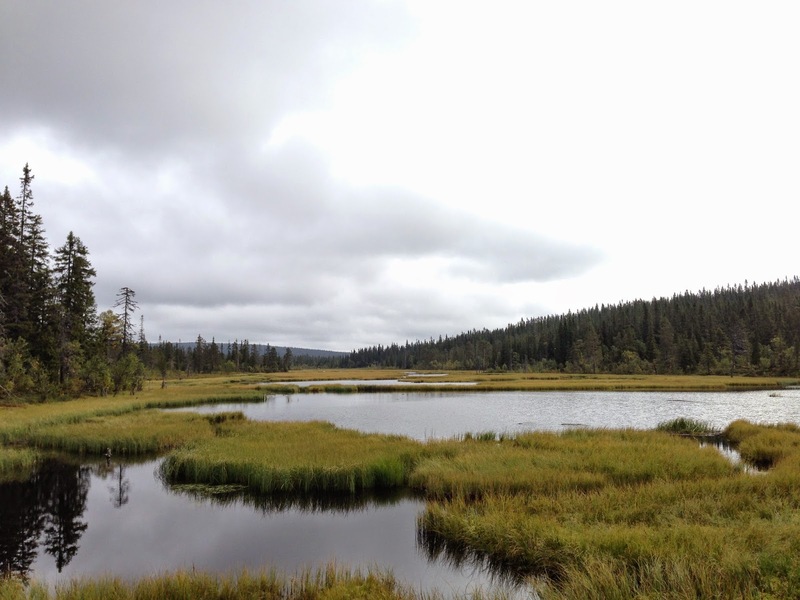 Five hours North from Stockholm, in the middle of the Swedish country side, nothing around it, just forests. It is famous because every year almost 16.000 cross-country skiers take part of the World's biggest ski competition: Vasaloppet. The course is really cool, even in Summer time; it crosses forests and marshes through small hilly paths, surrounded by a sort of unusual natural silence. I was chosen for running a short leg (second last - 5.5km), although I would have preferred to run a longer one. The reason is probably that, on the paper, I was clearly the worse runner in the team. 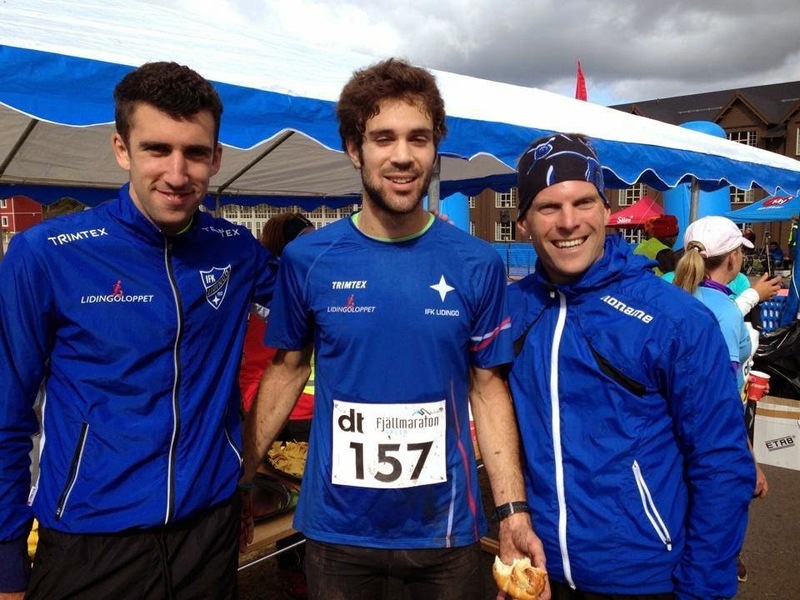 The team arranged by Mats was incredibly good, including a lot of World class orienteers and Swedish track runners. Our goal was to beat the course record, but I would say that the weather didn't help us at all. On Saturday it was raining, cold, foggy and muddy all over the track. The runnability slightly compromised, especially in the first "wilder" five legs. After a long fight with the local team (IFK Mora), which was leading until the fifth leg, we won by 5 mins (full results here). It was not such a big surprise; I think we had better runners in the last few legs than them, but it was exiting that two teams of 10 runners were fighting for 90km! My race was pretty average, I've frankly had better feeling on Thursday, but I can't complain. It was a really nice experience.